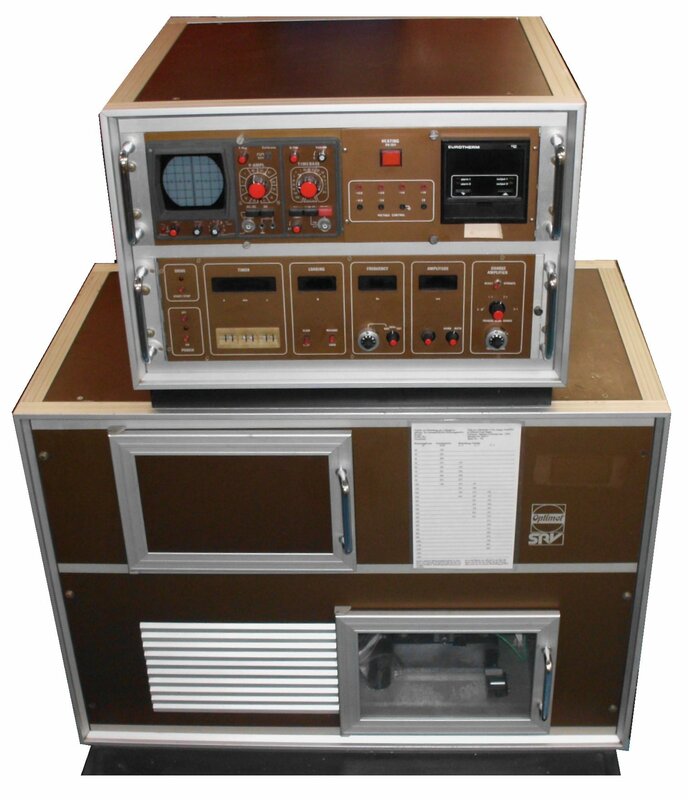 COMPEND , with its assorted interfaces, was designed to be a general purpose, software configurable, control and data acquisition system. During its lifetime, it has been used for controlling everything from tribometers to engine test beds and large transmission rigs. By maintaining ownership and control of both software and hardware, we have been able to ensure forward and backward compatibility, allowing us to extend product life by many years. Eventually, however, electronic components become obsolete and it is then time for a complete electronic update. Not all manufacturers are willing to offer this service, however, many machines remain mechanically sound long after the electronics have ceased to be supported, so are often worth saving. 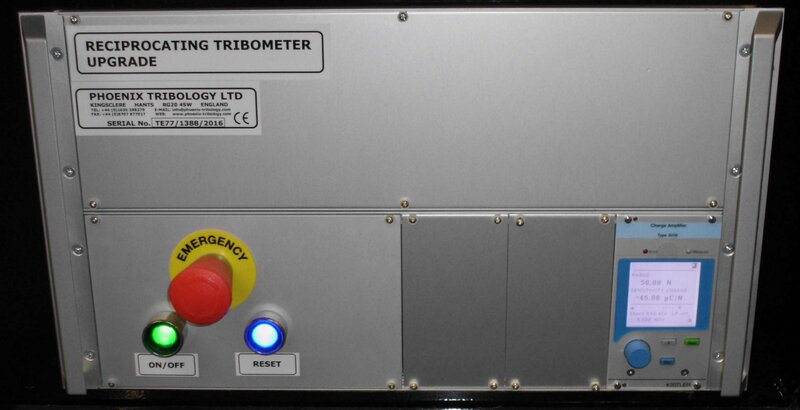 Over the last fifteen years we have upgraded and refurbished more than sixty tribometers, returning them to useful service. Of these, 60% have been our own products and mostly TE 77 machines, however 40% have been machines from other manufacturers, including numerous Falex block on ring machines. 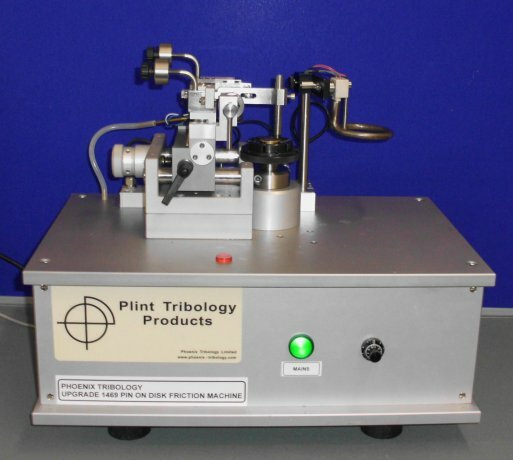 We have also upgraded a CSM pin on disc machine, including provision of a new friction force transducer. There are numerous ASTM standard tests using a ball on flat test configuration and a fixed stroke of either 1 or 2 mm. 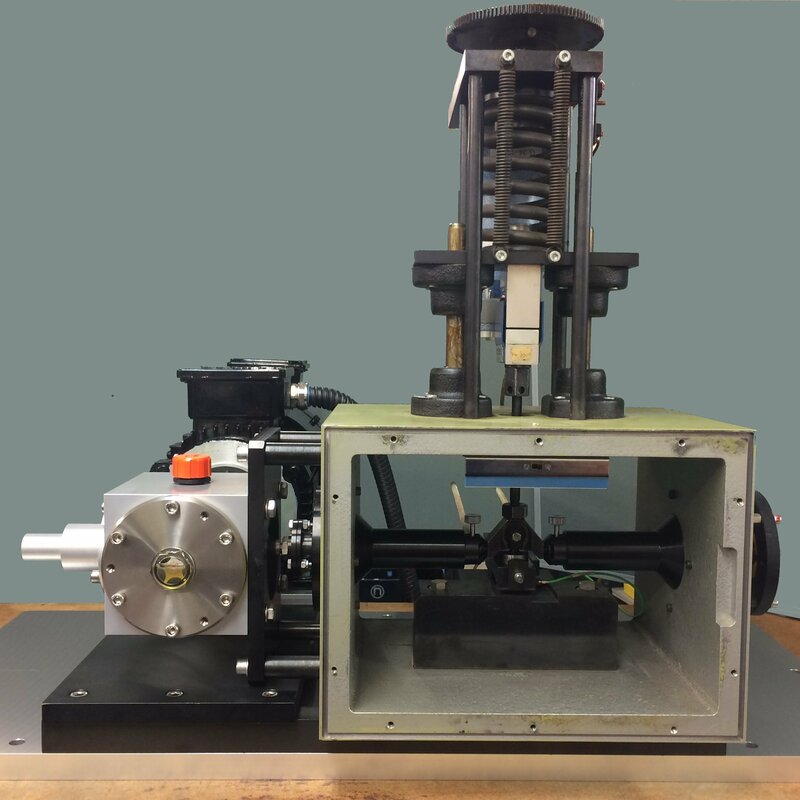 It does not make sense to attempt to re-use or replace the expensive and very heavy electro-magnetic drive system so our solution is to replace this with a simple, low cost, fixed stroke, motor driven reciprocating drive. 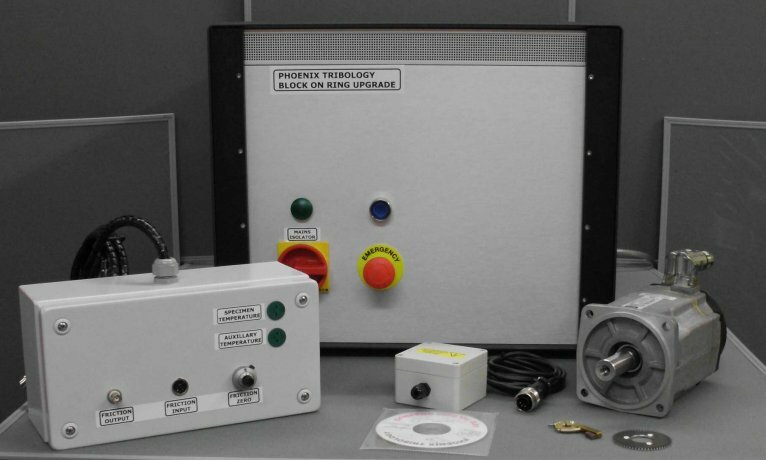 The guts of the machine comprises a test enclosure in which is mounted the heated, fixed specimen assembly. 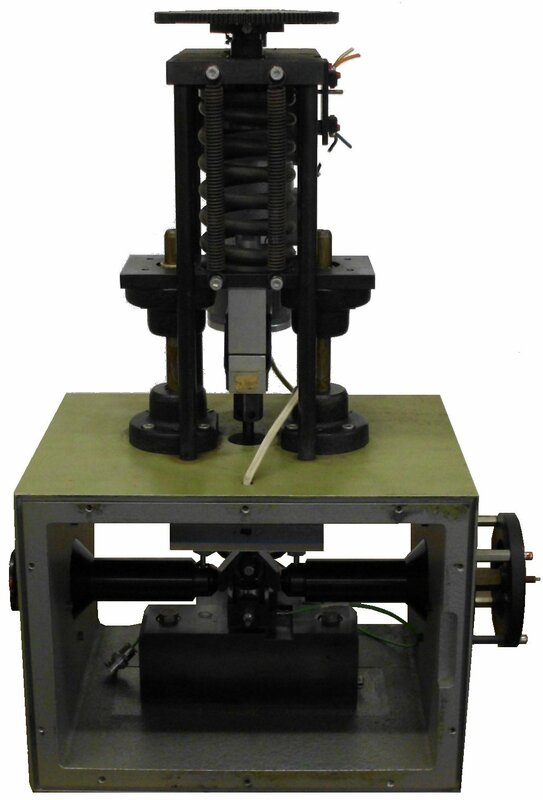 The fixed specimen is mounted on a standard Kistler 3-axis piezo transducer, of which only one measuring axis is used, this to measure friction. 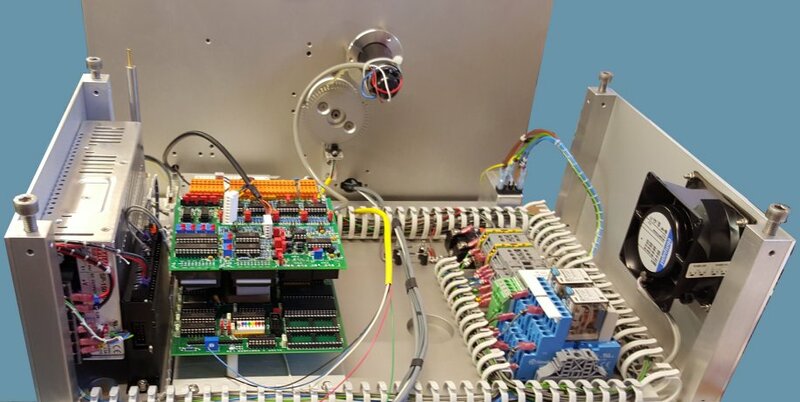 The loading system incorporates a spring and screw actuator mechanism driven by a standard servo motor and incorporating a standard Interface strain gauge force transducer, for load feedback. 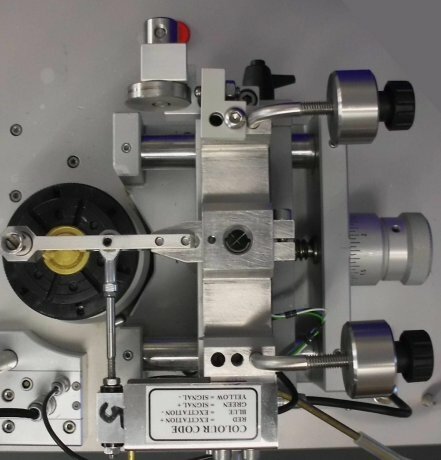 After removing the side panels, this assembly can be removed by disconnecting the electro-magnetic drive and releasing four bolts on the underside of the machine. Wires are cut through to release the assembly. 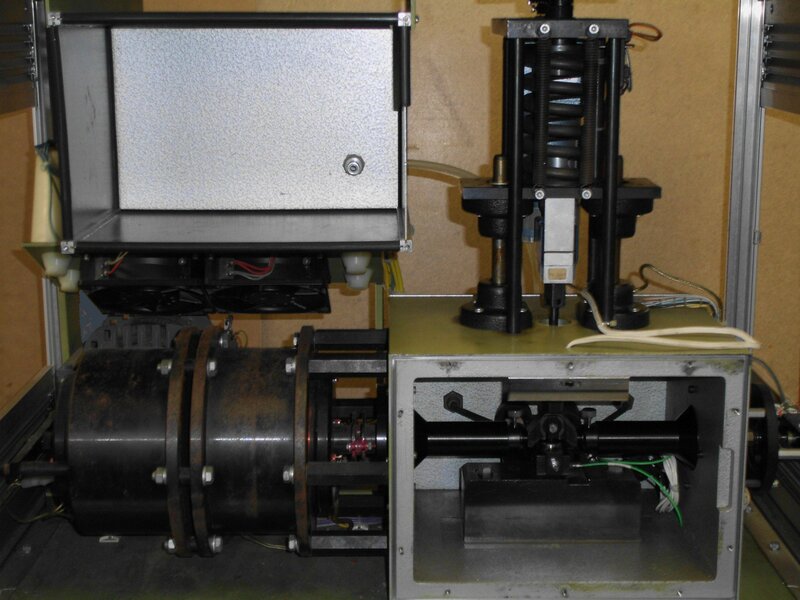 The motor and scotch yoke drive assembly, which incorporates a magneto-inductive position sensor, can then be connected, the machine re-wired and connected to standard TE 77 High Frequency Friction Machine hardware and software. We are currently working on upgrade package for both the CETR UMT machine.